Have you ever met someone who must, at all costs, stick to the plan? Maybe you are one of those people…and well, I am one too. Once I plan the set list, it is quite the struggle to let go and make changes when the need arises. This last week, I didn’t have to change my plan once, or twice, but three times. The set was scheduled and ready to go when suddenly, a long-time member of our church passed away. Her funeral was scheduled for Tuesday and the family wanted the entire band to play her favorite songs. I wanted nothing more than to make this happen, but getting an entire band together for a service on Tuesday afternoon is quite the undertaking. However, after much texting, a full band had been assembled. When the unexpected happens, get ready to change the plan. I had initially planned for the worship band to learn ‘Forever’ by Kari Jobe for the upcoming Sunday. But, with the funeral, I knew that I would not have enough time to get everything ready for the new song, so I cut it from the set list. You may be wondering why I wait until the week of to start rehearsing a new song. Well, this is normal protocol for my team. You can read more about my process in this post: How to Increase Productivity During Worship Team Practice. Although I love a good challenge, I knew deep down that introducing a new song would be too much on top of everything else going on. Then came Thursday rehearsal. We had played ‘The Anthem’ by Planetshakers many times before, but as lead vocal, I always struggled singing it in the key of B as it is at the top of my range almost the entire song. So, we tried it in the key of A…didn’t sound quite right. Then, we tried it in the key of D with a female lead, and it didn’t fit well either. I did not want to waste any more time, so I cut the song and told the band I would have a replacement to them the next day. The drama team was scheduled to perform to the song ‘How Can It Be’ by Lauren Daigle. This is one of go-tos for worship, so we thought it would be cool to have live music behind the drama. 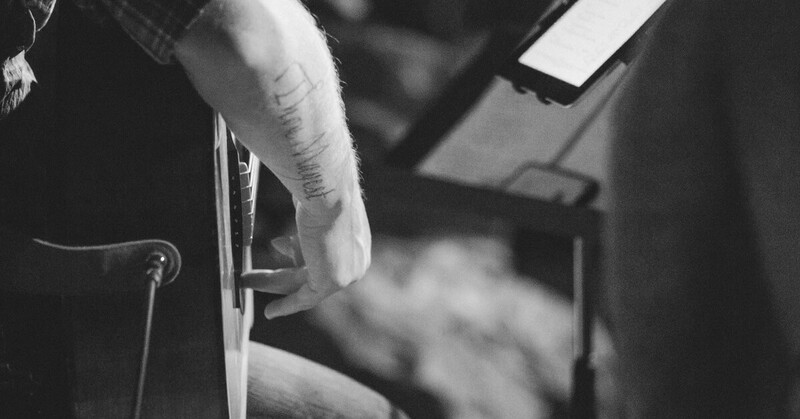 Respect the worship team’s time. But, the band was already dedicating their Tuesday afternoon to the funeral and Thursday evening for regular rehearsal. I knew that asking them to be at the drama team’s Saturday rehearsal was just too much. So, the drama team performed to the original track and it worked out just fine. Funny thing is, we ended up replacing ‘The Anthem’ with ‘How Can It Be’ which turned out to be amazing. I was hesitant for the same song to be played twice during a service, but this is already a congregational favorite. And since the drama went before worship, I knew they would be eager to sing the song after they had already heard it once. And, that is exactly what happened. Moral of the story: Be flexible. Don’t be such a stickler to the plan that you wear your team out. As a leader, you must discern when enough is enough, respecting the time of your team. There was a time when I wouldn’t have deviated from the plan and wore out the team and myself as the result. But, I have since learned that a relaxed and rested team ushers in the presence of God much better than a stressed and bitter team. Why have you had to change your set list in the past? Share your story in the comments below. I just encountered a similar circumstance in last night’s rehearsal. After numerous unexpected tech problems we finally got into our rehearsal time 15 minutes late. I had three new songs that were musically complex and needed time to get the groove, hits, dynamics, and then practice freedom to step away from the charts. After the tech snaffu’s, we simply couldn’t give enough to three new songs, so I traded out two of them with familiar tunes. It was respectful to finish on time, and I needed to prioritize the team’s overall engagement in the set. Now I’m all about musical challenges, but if it compromises authenticity, and heartfelt expression of worship, it’s not worth it. We will still introduce the new songs in a few weeks. Heart is the essential element, and the art will follow. I agree, Matt. Heart is the essential element and we just can’t risk having a stressed out team for worship.